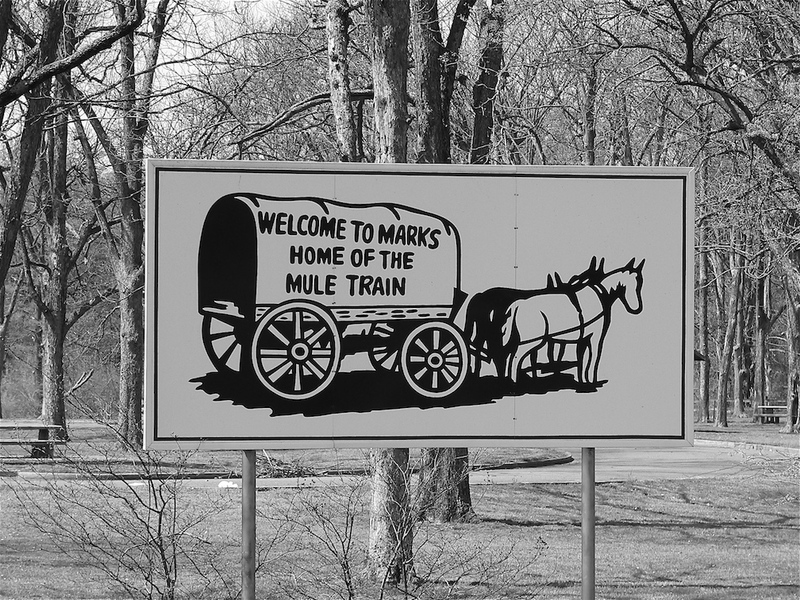 A mule train beginning in Marks, Mississippi, was one of the more dramatic features of the Poor People’s Campaign. In January 1968, with the civil rights movement losing steam, Dr. Martin Luther King Jr. unveiled a new strategy to leaders of the Southern Christian Leadership Conference (SCLC): the Poor People’s Campaign would work for the passage of laws to provide jobs and better wages for all people, thus breaking the cycle of poverty. King and other leaders imagined that the Poor People’s Campaign would begin in five major urban areas with rampant inner-city poverty. Poor people from each city would ride in covered wagons pulled by mules to Washington, D.C., and live in a tent city there, disrupting daily life until their demands were met. Marian Wright Edelman convinced Sen. Robert Kennedy to travel through the Mississippi Delta region as well, and Kennedy suggested to King that the Poor People’s Campaign should also include representatives from the Delta. King planned to have the mule train portion of the Poor People’s March on Washington begin in Marks and arrive in Washington on 2 May. On 4 April 1968, just before the march was to start, King was assassinated. After taking a bit of time to regroup, SCLC leaders decided to continue with the plan. In early May Rev. James Bevel and other SCLC activists left Memphis for Marks, where Mayor Howard C. Langford promised to help find housing for the people gathering to begin the march. Residents of Marks secured mules and wagons. Willie Bolden, an SCLC field worker from Marks, served as wagon master, with responsibility for making sure people and animals were taken care of and reached their destination in safety and good health. On 13 May 1968 the mule train left Marks and headed to Washington, D.C., via Birmingham and Atlanta. Participants encountered myriad challenges, including the daily upkeep and needs of both humans and animals. Marchers frequently encountered low-level harassment, such as passersby honking cars horns to scare the mules, and occasionally faced larger barriers. On 14 June in Douglasville, Georgia, state troopers stopped march participants attempting to use Interstate 20. The marchers persevered, finally reaching Atlanta long after they were already supposed to be in Washington. SCLC leaders then decided to purchase train tickets for both marchers and mules. The mule train participants did not arrive in Washington until around 25 June 1968, missing the Solidarity Day march to the Washington Monument held on 19 June. Marchers briefly joined other residents of Resurrection City, and residents of Marks were some of the last participants to leave.